Our Signature Special Events represent considerable revenue sources that allow us to meet or exceed our Annual Operating Budget. In order to maximize sponsorship dollars we invite corporations to select a pre-set sponsorship level or to create a customized level of support based on their needs. The ability to customize support at any monetary level enables us to work together to create a package that will mutually benefit the Double H Ranch as well as the individual business/corporation. 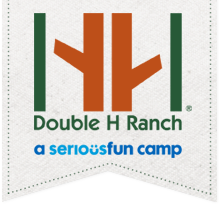 Corporate support of the Double H Ranch will increase visibility for your business, provide an outlet for marketing your services as well as increase your business/employee connection within the community. For more information on our levels of corporate support as well as other opportunities for support throughout the year please contact Robin DeMattos, Corporate Giving and Special Event Manager, at 518-696-5676 x228.